Here are some screenshots. 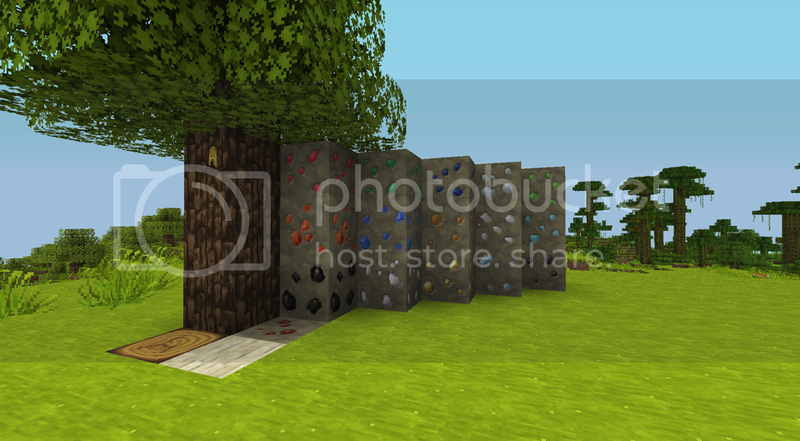 Do you think the ores look appropriate & different enough from one another? Iron & tin. I'm thinking about making the tin a bit more dull grey. Copper next to red stone and tungsten next to coal. Are they different enough? Lapis, sapphire, ruby, uranium, and emeralds. Looks good, although the stone looks a bit too much like wood for me. Ah, well you can take that up with lithiumsound. I'm just adding the Technic stuff. So, at the risk of duplicating work other people have already done (they haven't replied back in a while), I'm going to keep at this. Going through IC now. I did the generators today. They look great from the screenies, keep going! I'll be happy to support you in any way that requires no time, effort or money on my part, haha. Thanks! Moral support is important too. Here's many of the industrial craft machines... macerator, extractor, compressor, recycler, canner, electric & convection furnaces, electrolizer, miner, and mass fabricator. Edit: Here's the latest WIP link. 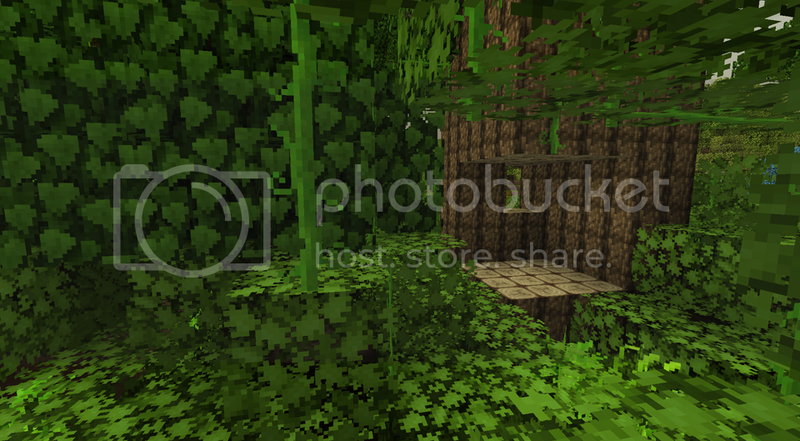 Wow just too many textures. 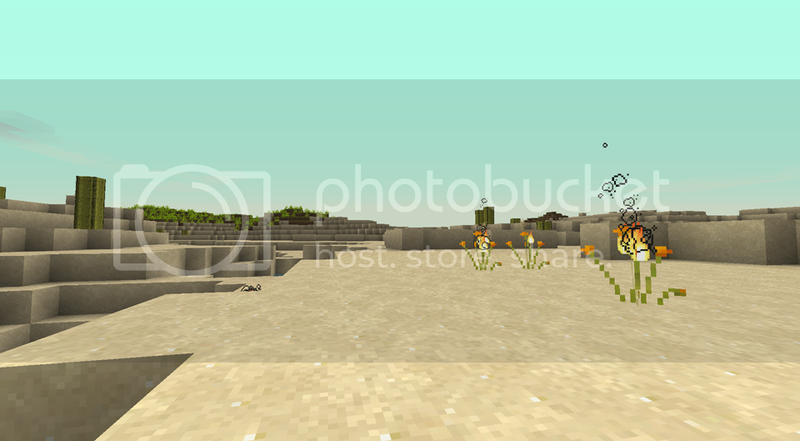 Well I've done enough that if you loaded another Technic-ready texture pack (I like T42), and then put Summerfields on top of it, then loaded this texture pack on top overwriting the other stuff, it would hide the seams (like the ores and flowers), so it'd at least be playable with Summerfields. I started making this one a couple days ago, im using the old smooth stone and using the new one as marble just tweaked. 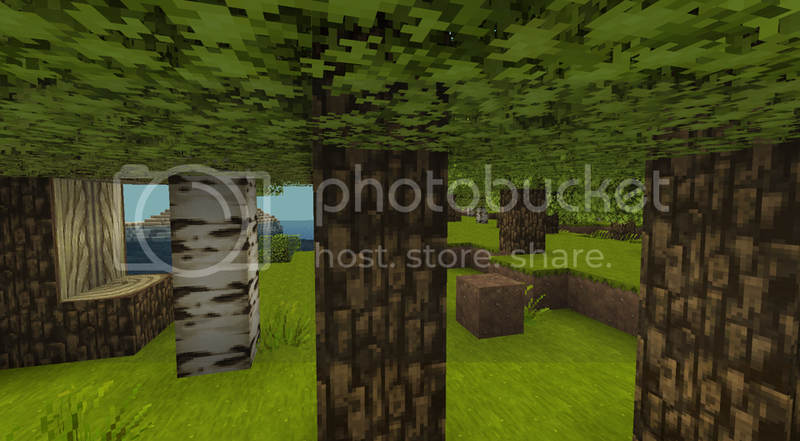 When im donw with everything that naturally spawns in the overworld for all the mods ill release the first part. 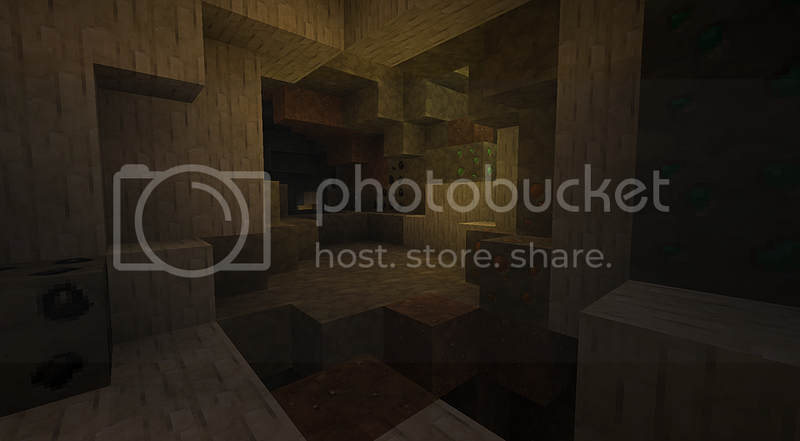 are all the ores fixed? uh fixed? sorry not sure what you mean all the ores are done though. Im almost done with everything from the overworld and should have something out tomorrow. Im going to scrap that rubberwood for sure its not doing it for me. Also for those who know is it possible to change the texture on the oil? i cant seem to find where it is. Also thanks to demagoggles for the indigo flowers im using the ones you did right now ill be editing them a bit but i think for the most part im going to keep them the same if you don't mind. Gosh dangit, it's SO FRIKKEN PRETTY! GAH! Can't wait for a finished version. Re the indigo flowers: no worries. I was already talking like this should be a collaborative project, so use anything you'd like from mine. You keep saying overworld, but I hope you can do at least the nether ores too, since there's only a few of them and they stick out. Another thing you should do is use the old Summerfield versions of the zombie, pigmen, & pigmen zombie mob textures, so the mobs don't look like boxes (since Technic uses an old version of MC). Oil is Buildcraft, animated I think... 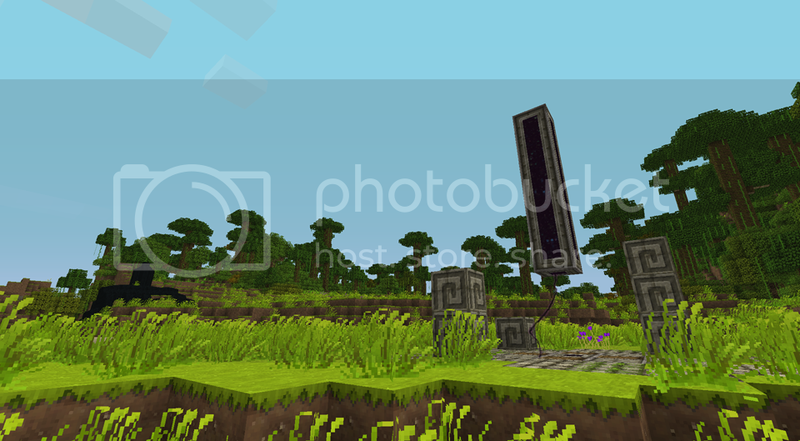 I couldn't find it either, but there are some suspicious black textures in the bottom right of "net\minecraft\src\buildcraft\core\gui\block_textures.png", maybe those? Alright all i have left is the tainted stuff and im done for first release i do plan on going through all the mods so just be patient and ill get it done after this first release you wont hear anything for a week or so though because i will be in disneyland but i will be back with more after that. (sorry no pics this time) and no luck with the oil as of yet. Mine? I built off the Sphax pack and didn't touch the lighting, so it's going to just have Sphax's still there (or maybe I pasted in from another pack, I don't even remember now.) I don't have them in my world so didn't see it to QA. Sorry if it's weird. Pixelgent is apparently coming out with a much more detailed set so it should be fixed then. 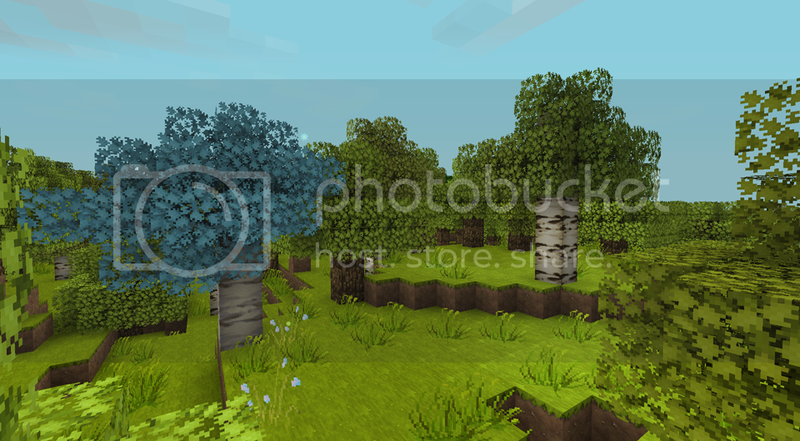 can i use your dlink so that i can edit the main post of this thread so that anyone interested in the summefields texture pack can easily download it? Sorry I didn't reply to this sooner. It's fine for me if you want to put my download link in the first post. Pixelgent's release will be more extensive than mine though; but it doesn't hurt to have both of them there. This is Epic!!!!!! Keep it up! Edit: It's been quiet for a few days, you guys still kicking around? I've done as much as I was going to do for now. If I did more, I'd want to see what Pixelgent did so I don't overlap with his work. So I'm at least waiting for his update or release. The work on this looks amazing, are either of you thinking about starting an official thread for it? It's only like 20% done. Maybe once PixelAgent puts out his pre-release there'll be something. One of my favorite packs also, but I just hate some of the textures for items like weapons/tools in your hand. But as far as grass and whatnot it looks really good. Heh, looks awesome, not sure what those blueprints are.